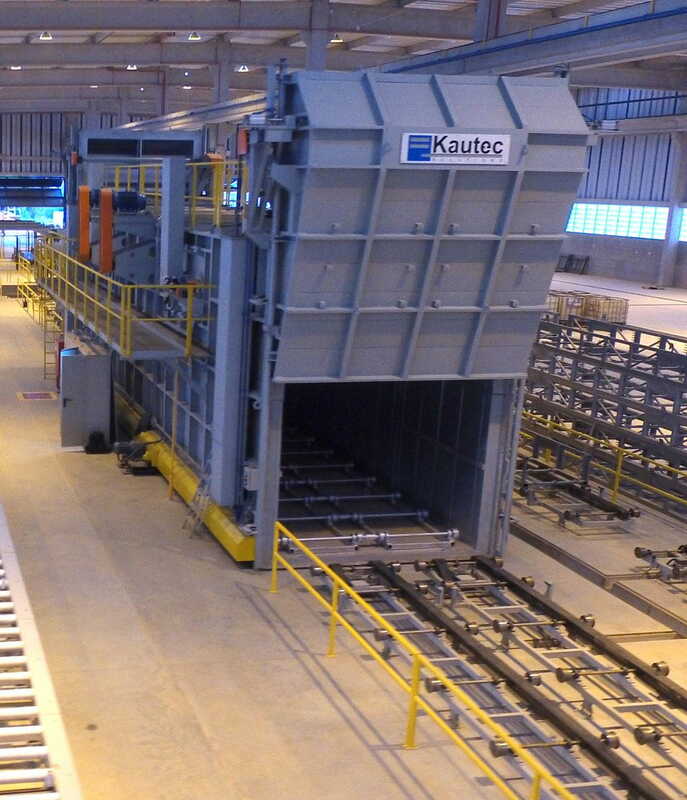 The function of the ageing furnace is the thermal treatment of artificial maturation of the profiles. The load is heated by thermal exchange by convection with the hot air circulating in the chamber. The internal chamber of the oven is divided into two parts. 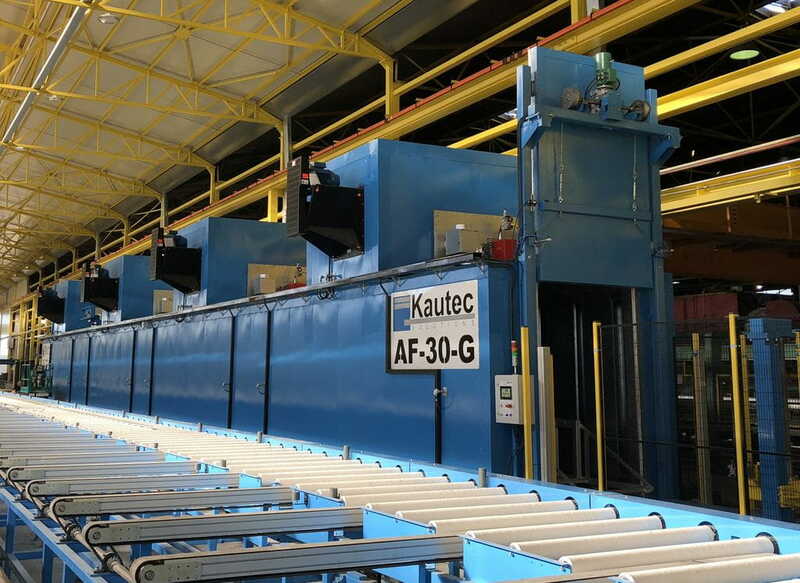 At the top a centrifugal fan allows the recycling of air, which is heated when passing through the burner flame, while the profiles to be treated are placed on the bottom. 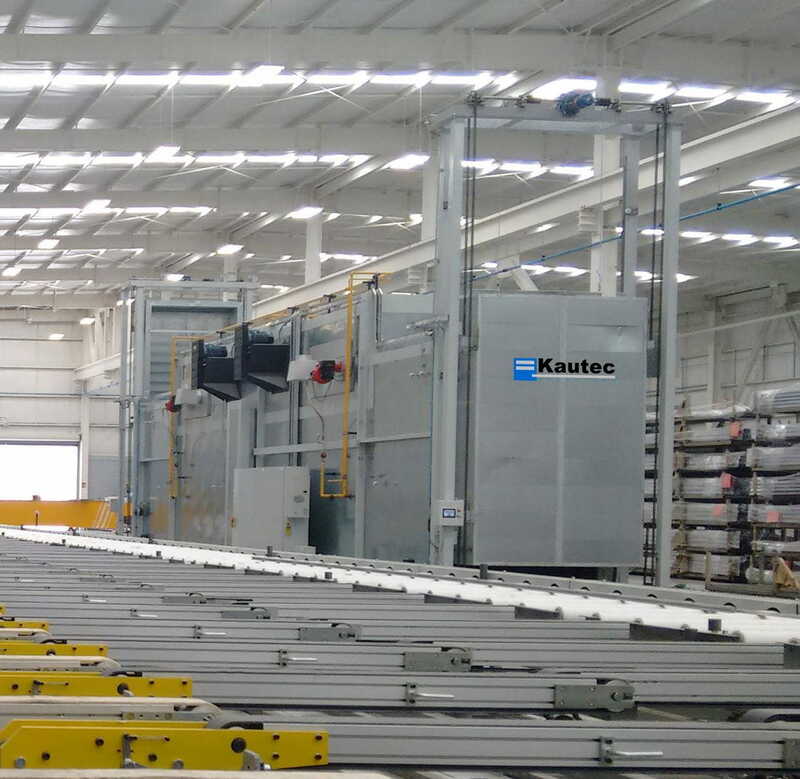 The longitudinal flow is the solution applied by KAUTEC, in which the air passes through the aluminum profiles, which guarantees a high level of thermal exchange.